We all know that BJJ is a slightly obsessive lifestyle but you can’t always train when you want and life (and especially work) does get in the way! I’ve previously posted about my love of podcasts to make my commuting more entertaining and useful so I thought it would be worthwhile sharing some of my BJJ related reading list. Especially as I’ve recently brushed up my Kindle’s content prior to my holidays. Now I’ll be honest post training I am more likely to be reading about vampires and werewolves than improving my guard game but here’s some of my favourites that I’ve come across! There are host of fantastic training manuals and books that are out there but are simply so rare or limited edited there really a significant investment e.g. Marcelo Garcia Advanced BJJ Techniques and Gracie Jiu Jitsu. I didn’t see any point in listing those (although they are fantastic) when most people probably can’t afford them without a little saving up. I couldn’t do an article re technical books and not include this “bible” which is pretty much referred to alongside the incredibly hard to get hold of Gracie Jiu Jitsu. This covers more than 200 techniques that are suitable from white to black belt. mapping out more than 200 techniques that carry you from white to black belt. It isn’t just a guide to a few techniques but a detailed technical manual. 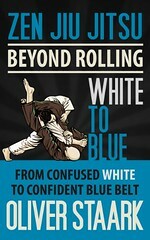 The aim of this book is simple to help new confused and overwhelmed white belts get to blue belt as soon as possible. I don’t think reading this book at the start of my BJJ journey changed my world as I had a good coach and access to the right resources but it certainly covered a lot of the right things and I did devour it in a couple of hours (which is always a good sign). Its not so much about technique and how to’s but the principles and concepts that you need to know to help but the pieces together. Its also sprinkled with some motivational strategies to keep you going when things get tough (which they do at every belt not just white!). I’m not massively into no-gi but not include a text looking at the MMA and No Gi perspective of the sport would be a bit narrow minded. This is one of the more recent books covering the evolution of the “rubber guard” as well as some more of the 10th planet guard systems. Not a book I can personally vouch for but I’ve had some training partners who love it! This is currently only 99p on Amazon Kindle and I would strongly recommend anyone who hasn’t already to have a read! 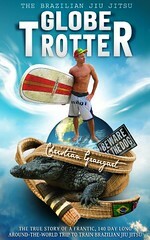 Written by the origional globetrotter Christian Graugart whether you enjoy reading about the travel, his BJJ experiences or his own reflections on loving and living life to the full you will find something you enjoy in this book! 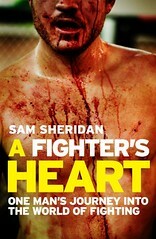 Ok this book isn’t just about BJJ but Sam Sheridan does train BJJ in Brazil as part of it. I absolutely loved this book and the stories of his martial arts travels. This is a guy who genuinely wrote about his experiences. Anyone who has ever had any sort of competitive martial arts experience will related to some part of this book. Anyone who hasn’t will still find it an interesting and compelling read. This book is only available via Kindle but it’s free! It contains a mixture of stories from a number of well-known black belts (including Manchester based Stealth BJJ’s Steve Campbell) who had all visited and trained in Rio. I’m not sure if it would have made my top list if it hadn’t been a free book as I found it a little repetitive but you certainly won’t lose anything by checking it out. I hope you’ve found this little list useful but off you think there are any key books I’ve missed or should check out then please let me know! 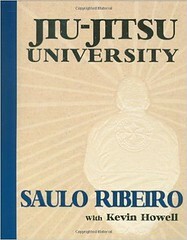 I’ve just bought Jiu Jitsu university and waiting for it to be delivered. 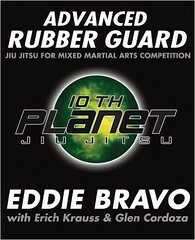 How white-belt friendly is the 10th Planet book you’ve mentioned? I’ve written a few lists, if that’s of any help? E.g., in threads here and here.